We have 187 adventure games in our database that start with the L. If you're looking for a specific game, try using our adventure game search page. You're currently on page 1 (of 16). 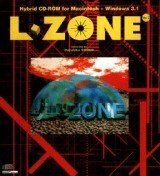 A domed city rises from an inhospitable landscape. A linear-motor train waits for someone to board. 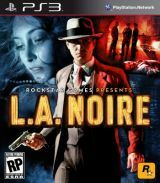 Amid the post-war boom of Hollywood’s Golden Age, Cole Phelps is an LAPD detective thrown headfirst into a city drowning in its own success. 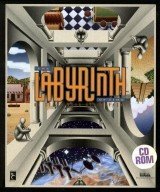 Labyrinth: The Computer Game was the first adventure game developed by Lucasfilm Games. It’s been seventeen years since Meredith Weiss left her quiet lake town in Oregon, USA. You are Marie, a 13-year-old girl. The warm summer of 1988 is giving way to the first signs of autumn. Lamplight City is a beacon of progress and industrial advancement in the New World. Journey to the heart of all England, the mythic kingdom of Camelot, ruled by the mighty King Arthur and his exquisite Guinevere. 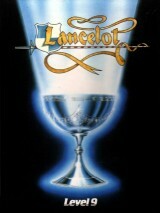 After a 10-year quest, Lancelot and Gawain have found the Holy Grail! While King Arthur races to meet the most valiant knights of the Round Table, Lancelot and Gawain celebrate their victory over a few beers. Thomas is eight years old and his sister Lily is six. They wake up one morning to discover their bedroom has been transported to a strange world. Something strange has appeared in the woods. Rain pours, and darkness hangs in the air. Wet Dreams Don’t Dry is an excellent addition to the Larry brand. Fans of the original games will not be disappointed, and newcomers will find a solid series introduction playing the lovable loser updated to present day.